Hundreds of animals -- including five wild tiger cubs only a month old -- were seized by Thai police on Wednesday, en route to Laos. According to AFP, the group of animals, which also included monitor lizards and turtles, are lucrative on the Asian market. "The final destination is either Vietnam or China where they like to eat these animals," said Thai police captain Pornchai Sangsila. 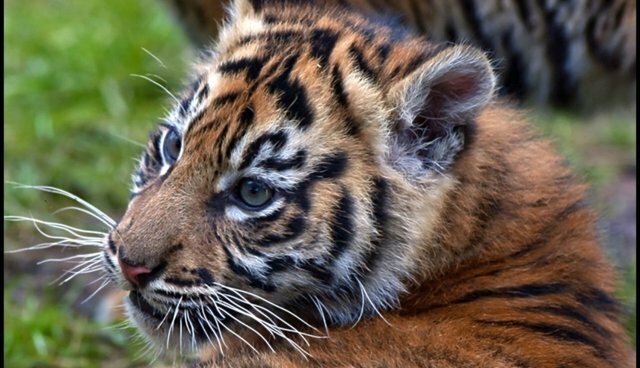 "The tigers will normally be kept in Laos for one year to be raised before being sold on." While the two smugglers were charged with illegal possession of protected animals, the cubs are now being fed and cared for by local authorities. There are only about 200 tigers left in Thailand, because their parts are highly valued by poachers for sale in traditional herbal medicines. They are listed as endangered by the IUCN's Red List. Check out the International Fund for Animal Welfare's heroic rescue of two tiger cubs in India. Every year, wildlife traders reap a collective $10 billion to $20 billion in profits from poaching and trading products like rhino horn, ivory, alligator skin, tiger paws, eggs, bushmeat, live animals used as pets, and much more -- not to mention illegal live animal sales. HSI has developed this guide to help avoid buying products made from this illicit trade. Born Free USA has this helpful state-by-state guide on which animals are illegal to own (many because they are illegally obtained). For more information, or to become more involved in this issue: WWF's anti-trafficking campaigns, WildAid,Save The Rhino, and Traffic.